The Sisters of Charity in the United States were founded by Saint Elizabeth Ann Seton, in the spirit of Saint Vincent de Paul and Saint Louise de Marillac in Emmitsburg, Maryland, in 1809. In 1859, Mother Mary Xavier Mehegan, a Sister of Charity of New York, at the request of Bishop Bayley of Newark founded the New Jersey community known as the Sisters of Charity of Saint Elizabeth. When Mother Mehegan moved the motherhouse from Newark to Convent Station in 1860, she immediately began to build educational programs and establish institutions to address health care and social needs. Seven years later, the first of the hospitals sponsored by the Sisters - St. Joseph’s Hospital in Paterson - opened its doors. The Sisters of Charity of Saint Elizabeth, along with the hospital they founded, have been an integral part of the history of Paterson and of New Jersey. In the 1860’s, the Sisters petitioned the City for its support and reached out to area residents and the mills to gain financial support for the fledgling hospital. St. Joseph’s had no actual endowment on which to rely, therefore it was dependent upon the persuasive skills of the Sisters to find support by reaching out to factory workers, owners, and wealthier residents for money and to markets and farmers for food. They farmed their land to feed the patients and would sell what remained to finance the hospital. 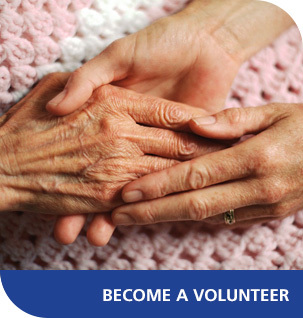 They depended on the generosity and kindness of the community to help the infirmed citizens find comfort and care. It was a most worthy calling and the Sisters were well respected and much admired for their dedication. Guided by faith in Providence, the Sisters slowly expanded the hospital and began to build the medical center that we know today. Throughout the majority of St. Joseph’s history, charismatic and determined women guided the hospital, turning challenges into opportunities. In 1875, Sister Mary Clare Reilly became the first of several influential leaders who would shape the essence of St. Joseph’s. A champion for the hospital for more than four decades, “Mother Clare” as she was called, was renowned for her strength of judgment, business sense, and ability to be flexible and progressive. Sisters of Charity Seal - In the early 1930’s, St. Joseph’s was recognized as a meaningful healthcare provider with a reputation for excellence and tender loving care. It was also said that the hospital buildings did not “tell the story” of the accomplishments of St. Joseph’s. The true testament of the splendor of the institution existed within its walls. No truer words could ever have been spoken. Sister Anne Jean Regan, who came to St. Joseph’s in 1936, is considered to be another of the charismatic leaders who shaped our organization. Sent to St. Joseph’s as a “temporary assignment,” Sister Anne Jean worked her way through the ranks in her 37-year health care ministry to become one of the strongest forces in the institution’s history. She was a beloved figure in the Paterson community and it is said that the development of St. Joseph’s into a total health care facility was a direct result of Sister Ann Jean’s own compassion and caring for the community of people she held so dear. In more recent times, we appreciate the significant contributions that Sister Jane Frances Brady made to the success of St. Joseph’s. 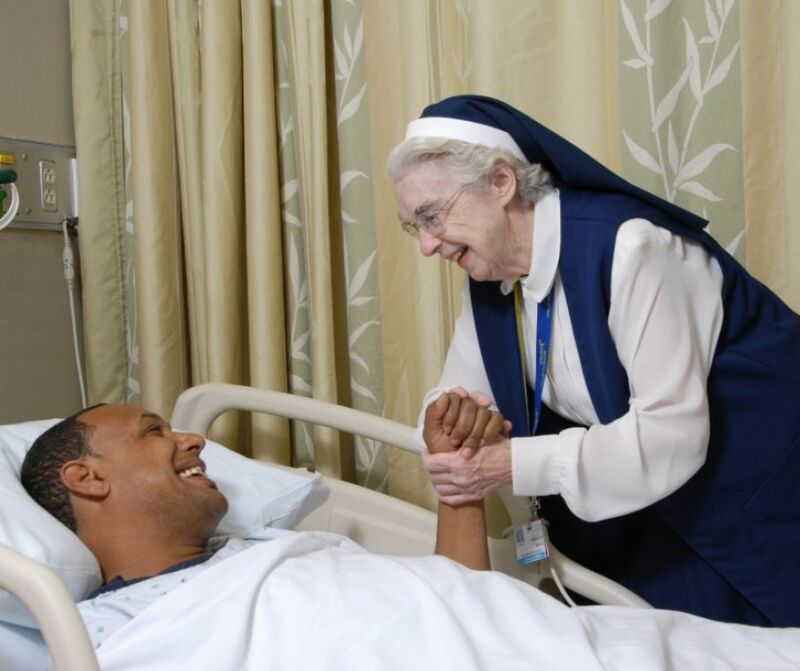 Sister Jane remains an icon in the State of New Jersey as a passionate advocate for the needs of the sick and the poor. Sr. Jacqueline Burns, SC, a dynamic leader and immediate past Chairperson of the Boards of Trustees of SJH, led the integration of the Healthcare System and revitalization of our organization. The influence of the Sisters of Charity of Saint Elizabeth is not limited to those who have assumed leadership roles within our institution. During St. Joseph’s 142-year history, many tender hearts have been well known - and truly loved - for their inspirational guidance, compassion, and understanding of the daily needs of our community. The original nursing corps of St. Joseph's Hospital was comprised of members of the Sisters of Charity of Saint Elizabeth. Understanding the importance of educating others to provide medical care, the Sisters established the School of Nursing in 1895 from which generations of nursing professionals bloomed and flourished. Throughout St. Joseph’s history, the Sisters have been grateful to the hospital’s physicians for their immeasurable “noble and self-sacrificing deeds.” Considered “splendid acts of beneficence,” the physicians’ contributions continue to be inestimable to the growth and development of the hospital and to advancing its medical excellence. These nurses wore their caps with great pride and were known to march the streets of Paterson on Graduation Day. The heart and soul of the Sisters of Charity was generously passed to these nurses. Today, the Sisters of Charity of Saint Elizabeth provide an inspirational leadership presence throughout St. Joseph’s Health. There are currently 30 Sisters ministering within SJH, including Sr. Marilyn Thie, Chairperson of the Board of Trustees, SJH. The Sisters are also engaged in nearly 100 education, health care, pastoral and social service ministries in 15 states and in the U.S. Virgin Islands, El Salvador, Central America and Haiti, West Indies. The Congregation currently numbers 451 vowed members. The Seton Associate relationship has 243 affiliated lay and religious women and men. Ministries of the Sisters have evolved and developed according to the needs of the times. Today, the Sisters of Charity sponsor one college, three academies, five hospitals and one women's center. The Sisters of Charity of Saint Elizabeth remain focused on the heart of their calling: service and advocacy through their work and corporate activity, including research and dialogue on major issues of social and global significance. They continue to strive with others to recognize, analyze and change the structures that contribute to poverty and marginalization in our world. The Sisters of Charity of Saint Elizabeth are reminders of God’s presence in our world.